Making a monthly commitment to Arizona Helping Hands is easy and painless. We can even set up monthly payments to assure you are able to take full advantage of the Foster Care Tax Credit. Make your Arizona Foster Care Tax Credit donation to Arizona Helping Hands today! Receive a dollar-for-dollar credit up to $500 for individuals, $1,000 for couples. The mission of #StandUp Society to provide basic needs to foster families to help stabilize their home life, enabling foster children to thrive. Arizona Helping Hands is looking for new Holiday Toy Drive supporters throughout the year. In order to provide more than 30,000 toys to boys and girls in foster care we rely on the support from the community to hold collection drives. We will provide you with toy drive flyers and can also provide a drive box and additional information about Arizona Helping Hands. Volunteer opportunities are also available to help sort and organize toys as well as fill toy requests and possibly even help during one of our Holiday Toy Drive distribution days. We also need toy drive supporters throughout the year to help with our Birthday Dreams toys! For more information as to how to become a Holiday Toy Drive supporter, please contact Sherie at ssiegel@azhelpinghands.org. At this time our 2018 Holiday Toy Drive is closed. From all of us at Arizona Helping Hands, we wish you and your family a Happy Holiday season! We like to create meaningful and hopefully ongoing volunteer experiences with you and/or your group! We also work with pre-teens and teens for Bar & Bat Mitzvah projects, Eagle Scout projects and others! Contact Sherie Siegel to organize your volunteer experience at Arizona Helping Hands. Regular and individual volunteer opportunities are available at our warehouse. We are also looking for outgoing individuals that believe in our mission who would like to learn about potentially becoming an Ambassador to help represent Arizona Helping Hands at offsite tabling opportunities. Group volunteer opportunities are needed year-round. We welcome groups of 6 or more to schedule a time to volunteer at our warehouse. Volunteer opportunities are based on where we need the assistance. These opportunities may include helping to decorate our Birthday Dreams bags, filling birthday requests, sorting and organizing clothing donations, working on seasonal projects such as our Holiday Toy Drive and Back to School Drive, or a variety of other opportunities. To get your group involved, please contact Sherie Siegel. Bring your team to us or we can come to you! Team Building Experiences include the group donating a specific project to benefit Arizona Helping Hands such as full-size toiletries for our Dream Kits and assembling them, Birthday in a Bag items to enhance a child’s birthday, Bike Builds, and other meaningful projects. Experiences held at our warehouse include a tour to fully introduce your team to Arizona Helping Hands and learn how we #StandUp for boys and girls in foster care throughout the state. To create a Team Building Experience, please contact Sherie Siegel. 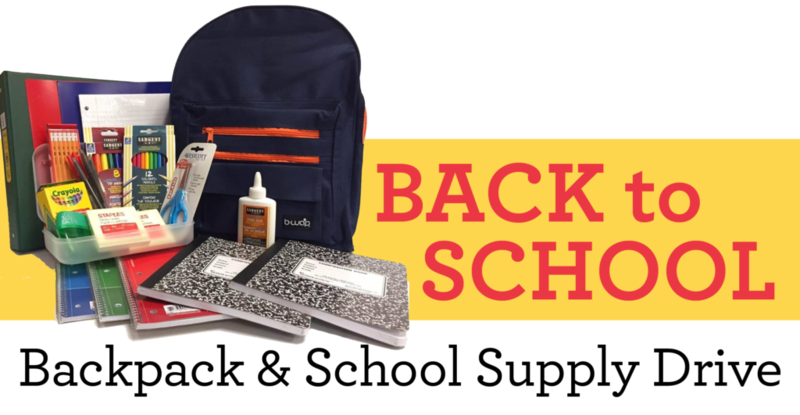 Arizona Helping Hands is looking for new Back to School Drive supporters throughout the year. In 2018, Arizona Helping Hands provided new backpacks with school supplies to more than 6,500 children with support from community drives in partnership with other foster care organizations. We are currently seeking more groups, companies, businesses and friends that want to hold a Back to School Drive. We will also look for volunteers to help in sorting backpacks with school supplies and also fill backpacks with school supplies.